Young, rich, witty, carefree, and cheerfully oblivious; Emma Woodhouse has a charmed life, and while she harbours no interest in marriage herself, she delights in arranging the unions of others. But her enthusiasm is wont to override her sense, and as she tangles herself in the love lives of her friends and neighbors, she is forced to reflect on her own imperfections. 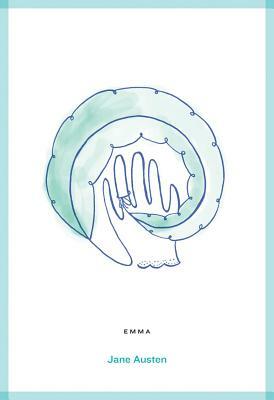 The result is an effervescent comic romance, in which Emma fumbles through the complex world of matchmaking towards self-awareness, and perhaps even a happiness of her own. Also available in the Classics by Roads series: Dracula, Bram Stoker, ISBN 9781909399341 Heart of Darkness, Joseph Conrad ISBN 9781909399013 Jane Eyre, Charlotte Bront , ISBN 9781909399334 Journey to the Centre of the Earth, Jules Verne, ISBN 9781909399273 Lady Chatterley's Lover, D.H. Lawrence, ISBN 9781909399280 Madame Bovary, Gustave Flaubert, ISBN 9781909399082 Notes From Underground Fyodor Dostoyevsky, ISBN 9781909399099 The Good Soldier, Ford Madox Ford, ISBN 9781909399266 The Hound of the Baskervilles, Arthur Conan Doyle, ISBN 9781909399051 The Picture of Dorian Grey, Oscar Wilde, ISBN 9781909399006 The Prince, Niccolo Machiavelli, ISBN 9781909399303 The Scarlet Letter, Nathaniel Hawthorne, ISBN 9781909399020 The Thirty-nine Steps, John Buchan, ISBN 9781909399242 The Trial, Franz Kafka, ISBN 9781909399297 What is Art? Leo Tolstoy, ISBN 9781909399259 Wuthering Heights, Emily Bront , ISBN 9781909399075 Frankenstein, Mary Shelley, ISBN 9781909399068 The King in Yellow, Robert Chambers, ISBN 9781909399501 Venus in Furs, Leopold von Sacher-Masoch, ISBN 9781909399556.